UPDATE October 2010: Hi! My SQL server died so I don't have recent galleries available of my stuff but I hope to have a solution soon that will show them! Hi! I'm CyrixLord! 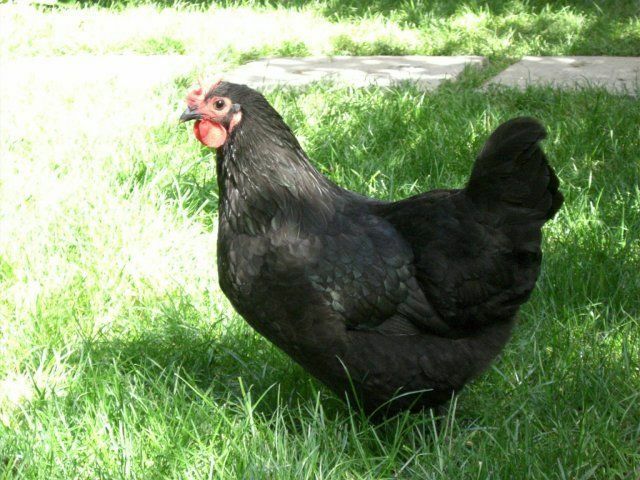 I live in Monroe, Washington with my 2 Australorps and a White rock. I have found that the white rock is the noisy one (I like the Australorps better) and have taught the other 2 girls to make a ruckus in the morning. 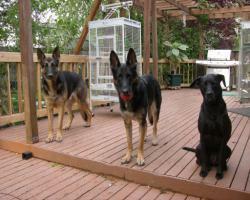 I also share my home with 3 dogs, a parrot and some assorted freshwater fish. I live in an urban housing area and am surrounded by caring neighbors who don't seem to mind that I have a small zoo. 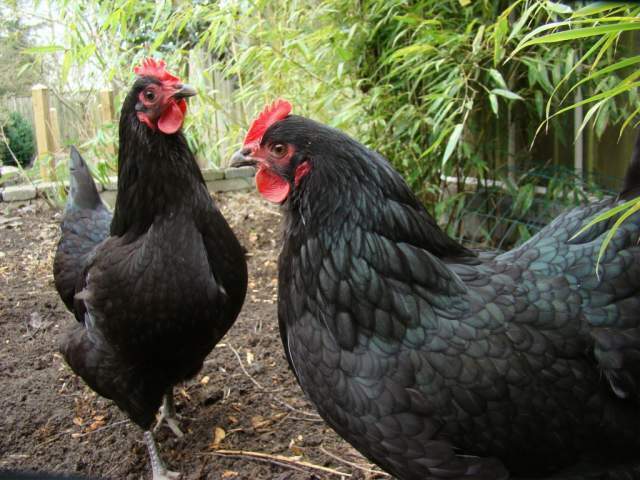 I got my Australorps 2 years ago from a local feed store and I have loved them ever since. They're tough little girls who have weathered an unusual winter here in the pacific northwest. 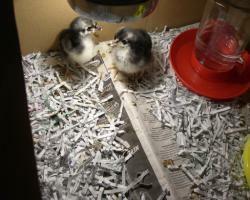 My coop has heating, and a hydrometer so I can tell when the heater turns on. I allow them to have supervised free range time and they don't seem to mind at all. then chicken fever got to me and I got a white rock chick last year! 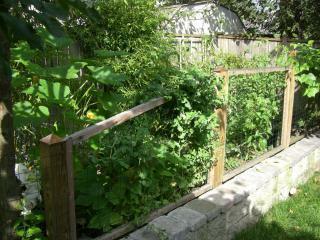 To keep the chickens from running amok, I have the backyard gently secured by wire mesh fencing. 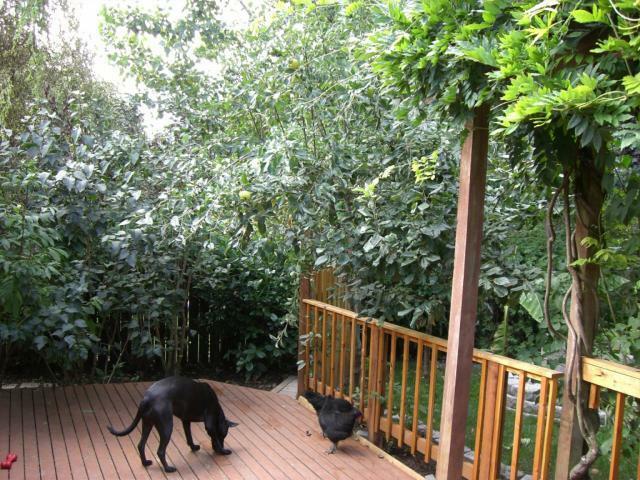 The garden area has removable sections that allow me to go into the garden and keep the area protected from the chickens and the dogs. 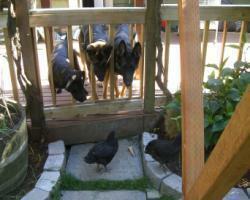 The chickens are protected by 3 dogs who have easy access to doggie doors. They are adopted and love the chickens. I raised the chicks around the dogs and called the chickens the 'babies' so they understood that they are supposed to protect the chickens. 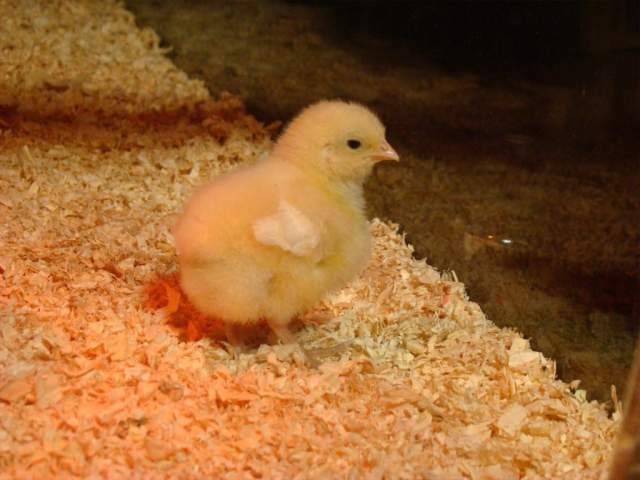 I allowed them into the brooder with me and allowed them to watch me play with and handle the chicks while they were young. Eventually I allowed them a sniff and eventually i let them all be together. 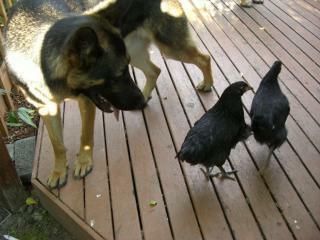 The chickens love their company and the dogs pretty much ignore them unless the girls start making noises. Panny's moment. I have houses on all sides of me. I have apple trees and lilacs that you can see in the background. I also have a Parrot, who makes the noises of the chickens when they are annoyed. 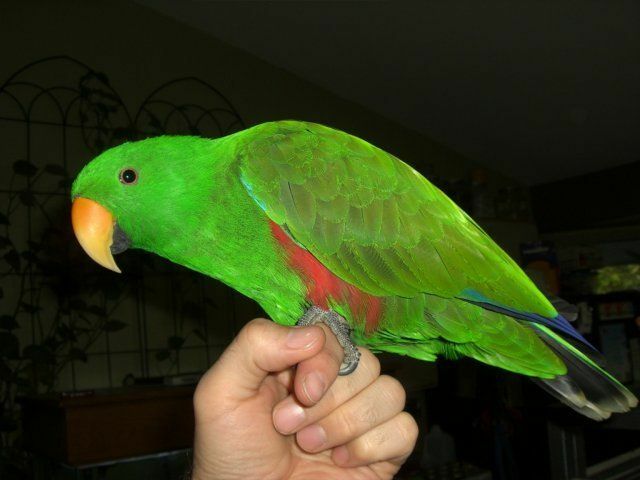 His name is Bender and he is a Solomon Island Eclectus. I hope you enjoyed my small picture show. 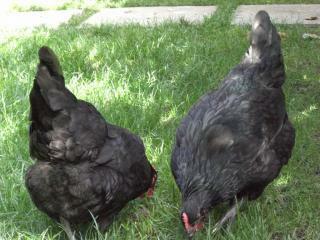 I enjoy the chickens for their antics as well as what they do for my mind, yard, and body. They are my own personal fan club and I really have enjoyed their company. The neighbors get my eggs and I get fertilizer, pest control, comic relief, small animals and birds chased off my property, and my neighbor gets the stinkeye from the chickens when he talks to them from the deck in his backyard that can look over my fence and into the run area. Click on a link below to take you to a picture gallery. Then, click on any of the pictures you like for a bigger image. If you like, please scroll to the bottom of that picture and comment about it! I'd certainly appreciate it! Thanks! Who wants to see their Eggs? Winter, bamboo and the chickens helping in the garden!